Individuals who become injured in Middlesex County, New Jersey may want to pursue a personal injury case against the party that caused them to become injured. There are a number of different burdens that an injured party may face when they become the victim of another party’s negligence. In order to recover any sort of compensation for injuries, the victim of the accident will be required to fulfill the burden of proof, which simply shows that the liable party was negligent. 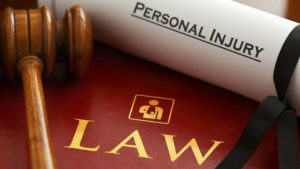 Accident victims may be entitled to two forms of compensation if they have a successful personal injury lawsuit. The compensation is also referred to as damages. Economic damages can be recovered in order to compensate the injured party for the financial burdens that they suffered in the accident. Economic burdens often include medical bills, rehabilitation costs, loss of current and future wages, and more. In addition to economic damages, an individual may be able to recover damages for other burdens that they have faced. These are known as noneconomic damages, which may include pain and suffering, emotional distress, loss of independence, and loss of enjoyment of life, among others. If you have been the victim of someone else’s negligence and are interested in bringing a personal injury lawsuit against the liable party, contact our firm today.